Unlimited private pick your own strawberries throughout our strawberry season. You may come out as often as you would like during open hours. There is no limit on your take for the day for your household. For CSA members only: You must purchase a full or medium CSA share to have this boost. Strawberry season usually starts around Mid-May (give or take a few days) and runs for approximately 3 weeks. We intend to be open every day, as long as picking is available. The Strawberry Boost is for pick your own strawberries only. It does not include pre-picked berries. This boost is for members, who like quantities of berries, and enjoy the outdoor experience. You can come multiple times throughout the strawberry season. It is excellent for families. It is not intended for people who do not want to pick berries or cannot pick. With this share, you don’t have to worry about eating most of your berries on the way home or your kids picking too many! – You can come back again and again or take a few buckets home to preserve for future use. We want CSA members to feel free to make a day out of it. You can bring a picnic, take a nature walk, or just come out for a quick picking. We will provide the buckets each day. Come have some fun filled afternoons at the farm! 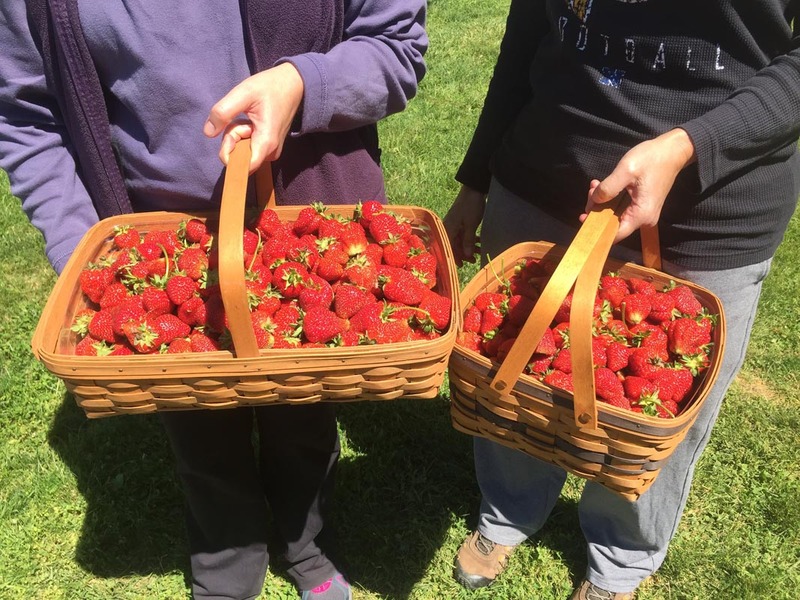 If you are sharing a regular season CSA membership and both households want unlimited pick your own strawberries, please select multiple Strawberry Boosts at signup. There is an option to choose quantities when selecting “Strawberry Boost” during the signup process. You may share a strawberry boost membership if you are already sharing a full or medium CSA vegetable share, are single, or are a party of 2 sharing a membership with another party of two. Families larger than two that share a CSA membership cannot have dual family usage under one strawberry boost membership. Use good judgment and ask if you are unsure. Contact Us. Please do not play Robin Hood, and pick for your friends. But a basket, not several, for your co-workers or guests is nice. Please use considerate judgment, so we can continue this program. Please feel free to bring friends, but understand they will need to pay for what they pick. At least one name under the membership must be present to redeem the Boost at each picking. You may send someone on your behalf to pick for you, if you meet the following conditions: medical issue, an emergency, time / work hour logistics, you want to send the nanny with your children, or if you have personal/particular circumstances which limits your ability to get to the field. You may not send someone to pick for themselves. 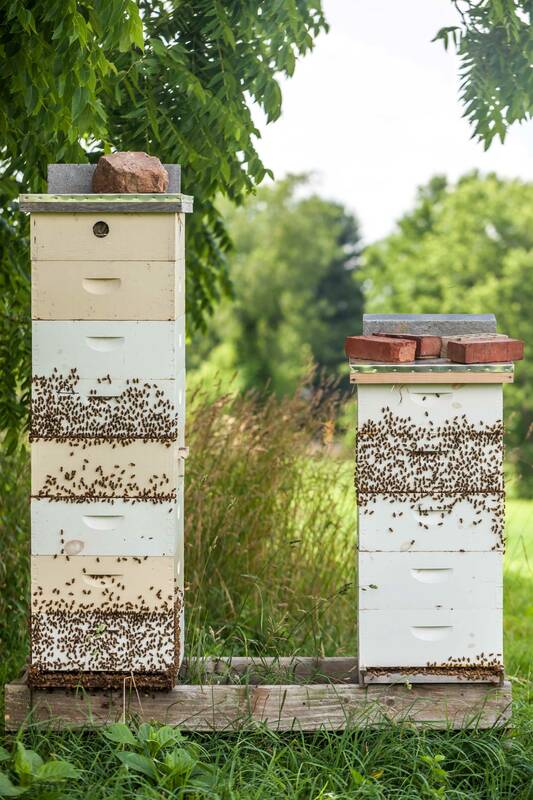 You will have Boost options for Strawberries and Honey during the sign up process. Honey distributed with your Full or Medium CSA share throughout the season. The honey boost will open later in the season once the bees give us a good indication of how they want to produce. For CSA members only: you must purchase a full or medium CSA share to be eligible for this boost. In order to receive honey with your CSA share, you must purchase the Honey Boost. Do not delay if you love our honey, this supplement option will not last long. If you LOVE our honey and cannot get enough – there is an option to multiply your honey boost. This option is also recommended for Members sharing a vegetable share. We will confirm by sending you a payment link. Pick up your pork along side your CSA share! *Farmer’s Choice will be either Sweet Italian, Spicy Italian, Chorizo or Sage and will vary from month to month. In order to receive pork with your CSA share, you must purchase one of the Pork Shares. Do not delay, this supplement option will not last long. There is an option to multiply your Pork Share or sign up for both the Pork and Sausage Share options. 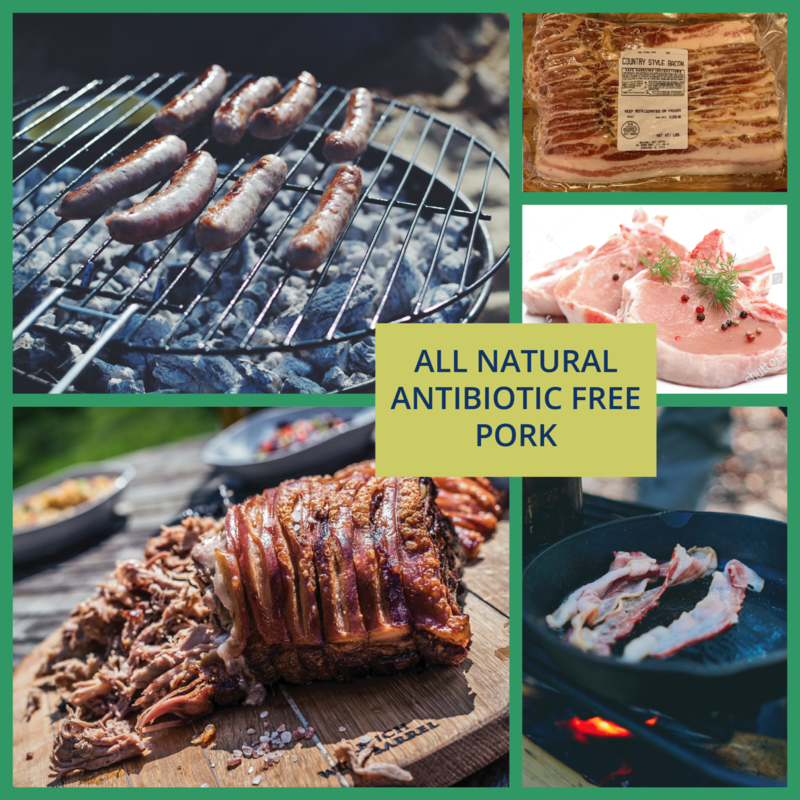 New this year for 2019 – the Pork Share! Brought to you by our friends and farming partners, One Straw Farm in White Hall, MD. One Straw Farm raises heritage Berkshire and Duroc piglets that have a wonderful life on their organic farm. The pigs always have free range of their pasture and are moved frequently throughout the season to ensure fresh pasture for rooting and grazing. Grazing is supplemented with Non-GMO and soy-free feed, certified by the Non-GMO Project. The pigs never receive antibiotics or other supplements.Learn more about One Straw Farm here.